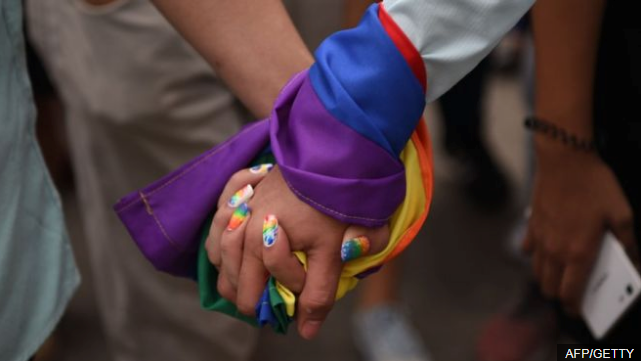 More than 66% of LGBT individuals in the UK abstain from clasping hands out in the open because of fears about negative responses, as indicated by an administration overview. Results likewise indicated LGBT individuals will probably be "less fulfilled" with life than whatever is left of the populace. Head administrator Theresa May said no one "should ever to need to shroud their identity or who they cherish". In light of the study, the administration has created a 75-direct arrangement toward enhance the lives of LGBT individuals. The philanthropy Stonewall included there were still "pockets of society" where the LGBT people group was "a long way from safe". In excess of 100,000 individuals participated in the study, which was done amongst July and October a year ago. Those recognizing as gay or lesbian made up 61% of respondents. A little more than a quarter distinguished as indiscriminate and a modest number recognized as pansexual (4%) and abiogenetic (2%). Individuals recognizing as transgender represented 13% of respondents. A fourth of the individuals who participated in the study said they were not open at all about being LGBT with relatives they lived with. Of the trans men who partook in the review, 56% said they had abstained from communicating their sexual orientation character because of a paranoid fear of a negative response from others. That figure rose to 59% for trans ladies and 76% for non-twofold respondents. LGBT loathe episodes had been experienced by 40% of individuals in the overview, with more than nine out of 10 of the most genuine offenses going unreported. The head administrator said the outcomes "shone a light" on the "numerous zones where we can enhance the lives of LGBT individuals". Uniformities serve Penny Mordaunt disclosed to BBC Breakfast: "There's still significantly more that we have to do to empower individuals to flourish, to get to medicinal services benefits and to guarantee that they can approach their day by day business without dread or feeling scared." 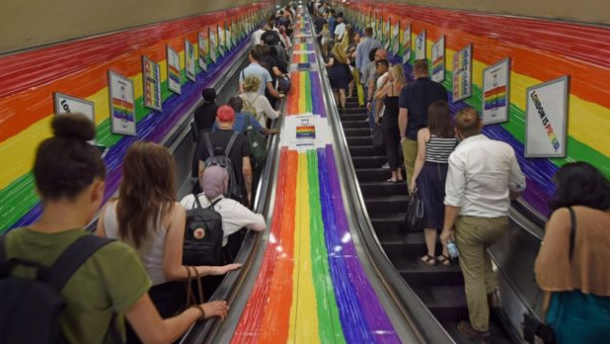 The administration's new "activity design" plans to help "handle segregation and enhance the lives of lesbian, gay, indiscriminate and transgender" individuals in the UK. One of the responsibilities in the arrangement is to "destroy the loathsome routine with regards to transformation treatment", which 5% of overview respondents said they had been offered, and a further 2% said they had encountered. "We will consider all administrative and non-authoritative choices to restrict advancing, offering or directing change treatment," the arrangement states. Ruth Hunt, chief executive of Stonewall, said she was pleased the government was listening to the LGBT community, but added there was "still a long way to go until we reach full equality". "The biggest fail is the lack of any pledge to end the detention and deportation of LGBT+ refugees fleeing persecution in violently homophobic countries like Uganda, Iran, Russia, Egypt and Jamaica," he said. "Another big omission is the absence of any commitment to compensate gay and bisexual men who were convicted under past anti-gay laws."